November is the month to be thankful and appreciative of the memories this year held. It’s all about being with the ones you love; it’s shedding a few tears in between bites of pumpkin pie; it’s looking forward to an even better year. Therefore, in the spirit of reminiscing, it is only appropriate I share the top ten best songs of my childhood. These are the songs I jammed out to as a little kid and still jam out to in the car now. I specifically remember showing my classmates this song during recess in grade school. Its sample of Ben E. King’s classic “Stand By Me” might have given old timers a heart attack, but 9 year old me didn’t care in the slightest. The song is a tale of heartbreak and unrequited love, a true bop. Love was pure back then and “Beautiful Girls” is an anthem of that era. From their heavily pop punk era of “Riot”, Paramore’s song “That’s What You Get” is a popular crowd pleaser for concerts then and now. The catchy guitar riff and Hayley Williams’ melodic lyricism makes this a song that will forever be apart of my childhood. Even now, I still get the butterflies when Paramore performs this song live. The band lets the crowd sing-shout the words making the atmosphere so electric. Forget the haters, “That’s What You Get” is an absolute bop and I have no shame. I’ve never felt heartbreak but after listening to this song I always feel like I’ve been dumped by my boyfriend of 6 years. This song is an anthem for the girls who find happiness after a toxic breakup. Kelly Clarkson kills the game with bangers like “Since U Been Gone”. Thanks to her I can yell the lyrics to this in my car whenever I’m mad and I always feel immensely better. “Beautiful Creation” was the simp anthem of any middle school boy. If this song could’ve been a religion for 12 year old boys back then, Young Dee would’ve been a god. These boys, in their snapbacks and carrying $30 ukuleles, looked for the girl they could call “shawty” even though the word love was not in their vocabulary. However, despite how annoying this song was, I still bump this song in the car as I reminisce about the middle school days. “7 Things” was a controversial song amongst tween girls. This dropped around the time of the #Niley (Nick Jonas and Miley Cyrus) breakup and everyone went wild. The music video had so many clues pointing towards this catastrophic event like Nick’s dog tag and pictures of them with his face blurred out. Miley Cyrus knew what she was doing with this song and it killed me. Not including the Jonas Brothers on this list would have been mutiny for they are pop rock gods. Their song “Lovebug” is a true testament to their musicianship and lyricism. I still listen to this song because it’s genuinely really catchy and well written. Even the music video was creative, telling the story of a couple separated by war but eventually are reunited with each other. “Lovebug” is a pure love song that shows how underrated the Jonas Brothers were as a tween pop band. The first line of the song is enough for “Mr. Brightside” to be considered an ultimate bop. Listen to it and you will understand. That is all. “Beautiful Soul” is good, but “Leavin'” is a songwriting masterpiece. Once you heard the intro’s cellphone beeps, you knew Jesse McCartney was dropping an unprecedented chorus about ‘G5s’ and ‘ohs’ that kill me every time. It’s impossible to explain what this song makes me feel because even 8 year old me didn’t know what or how to feel. However, I do know that “Leavin'” is a bop responsible for the awakening of girls all over the world. That is a fact. Justin Bieber will never get on this level. Pop punk enthusiasts will argue with me about this but in my honest opinion, the Jonas Brothers’ Busted cover of “Year 3000” is so much better than the original. Even though I love Busted’s version, the Jonas Brothers have a more cohesive sound allowing the song to flow together nicely. The guitar intro is cleaner than Busted’s piano intro, the tempo of the song is faster, and it’s something I can go hard to in the car. I will say this again: the Jonas Brothers is an underrated band with musicianship and writing skills unprecedented by any tween pop group. Many people forget how good this song is. Aly & AJ. The instruments, the lyrics, everything about this song is impeccable. The synth sounding guitar/bass riff, the angsty lyrics, and the sisters’ vocal dynamic make this song a classic bop among tween girls. Even though Aly & AJ dropped off the face of the earth after Disney, they have started making music again and even performed a stripped down version of this song at The Roxy. This girl group exemplifies feminine prowess and true talent. Not familiar with the name? Don’t feel too out of the loop — Astronomyy releases his dreamy, surf guitar-laced R&B on his own label, Lunar Surf, and he’s also an enigmatic lone wolf — the UK singer-songwriter and producer seldom posts to social media, and virtually no videos can be found of the guy performing live. In a contemporary sphere where visual aesthetics quite often and ironically trump a musician’s sound, the virality of Astronomyy’s songs attest that good music is still what gets people listening. Thousands of SoundCloud users are addicted to the Englishman’s sound, which is something he likes to call “guitar’n’B.” Such a label is genre-blurring, but a quick listen to tracks like 2014’s “Nothin on My Mind” and the newer “Hypnotized” proves its aptness. A Bonnie and Clyde-esque short film by Blake Atienza accompanies the new track, and the showcased romance will appeal to fans of Drugstore Cowboy or the 1975’s “Robbers” music video. Check out “Hypnotized” and its clip below. Astronomyy is on Twitter, Facebook, Instagram and his website. Welcome back Aztecs! I’m back to the daily school grind and that means I’m back to cranking out some sweet playlists for all of you. For the sake of your precious time, I’ll keep this one short and sweet. For those of you that don’t already know, I like to listen to music that not exactly on the straight and narrow. So I’ve compiled a short list of songs that were on the Top 40 (and/or were relatively popular) and should have stayed there. 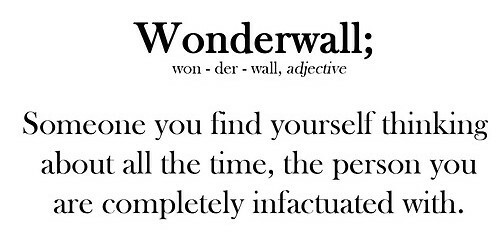 In my personal opinion, Wonderwall is one of the most beautifully ambiguous songs ever created. It is truly one of those songs that can be whatever you want it to be. It is very user centric. Everyone needs a little teen spirit and Nirvana caters to the grungy teens from the 90’s that were desperately lost, high, and confused (teens these days haven’t changed that much…). The ultimate demise of Kurt Cobain catapulted Nevermind into the stratosphere, solidifying its place in rock history. This is one of the more “recent” songs on my mini playlist. Less rock elements and a slower pace brought this song onto the top 40 in the mid 2000’s, no questions asked. My all-time favorite band, not my all-time favorite song. That being said, it seems to be one of the general populations top rock choices. I still can’t get over the use of violin by Yellowcard. Violin and rock music are a perfect mix. If you don’t believe me, give it a listen. The best humorous break-up song that ever appeared on hits radio. Although The All American Rejects are sub-par at best, its quality fruit on the rather fruitless top 40 tree. No matter your music taste, everyone needs a few new songs to play on repeat once in a while. Have at it folks. I’m also on air Monday’s from 10-11pm playing rock, indie, punk and whatever else fits my mood.